About a week ago I was hunting for a few Radeon cards for a project, specifically a second Nitro+ RX 570 for a crossfire comparison, needless to say I couldn’t find one and gave up. A friend of mine said he was looking for a second RX 480 for his setup and that he couldn’t find one outside of crazy high prices, chalked that up to EOL on the RX 480s and told him to snag a similar RX 580. He couldn’t find one of those either. Thinking he just didn’t know how to search, since he’s not very computer savvy, I decided to help out. 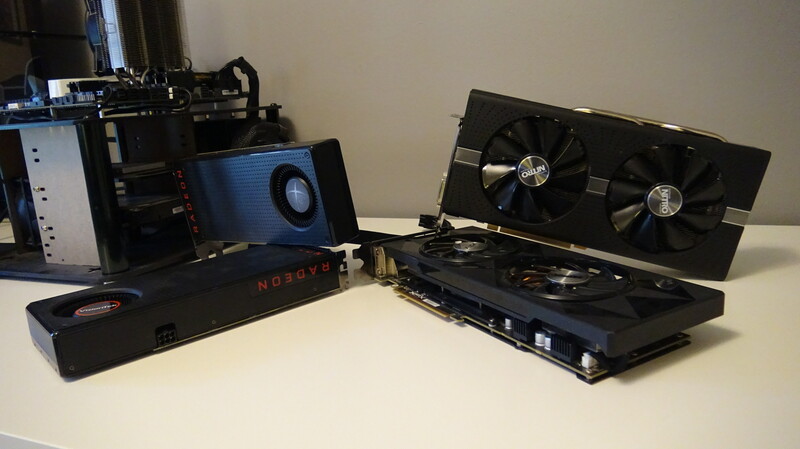 That’s when things got interestingly and eerily similar to searching for a Radeon card in late 2013 – early 2014 back when I was deep into Litecoin and Feathercoin mining. Then I came across Ethereum and everything became clear. While I’m not going to pretend to be an expert on Ethereum I am no stranger to the world of crypto currencies. 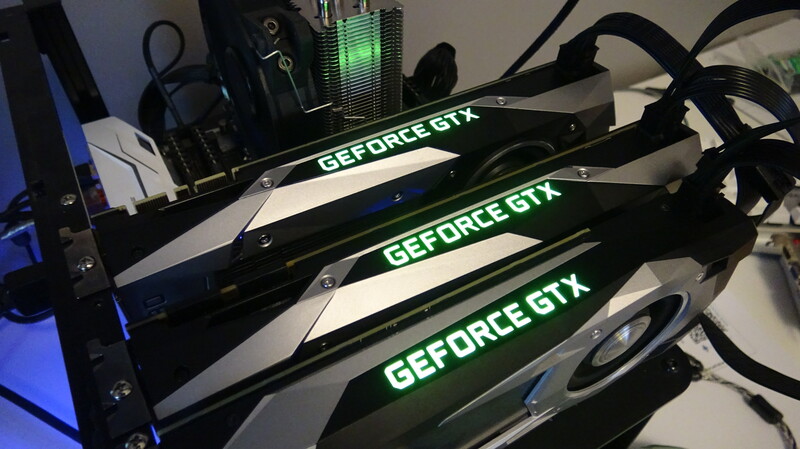 Having spent months on end tweaking GPU bat files for LTC and FTC while setting up ASIC miners for BTC, I decided to jump in on this one to see what the craze was all about! What we are doing here with this article isn’t going to be a tutorial or guide, we’re not endorsing or encouraging the mining, trading, buying, or selling of Ethereum. We are simply taking a look at the current landscape of GPU mining hashing performance, power draw, and current profitability of taking part in Ethereum mining. This video was done to represent 40 days of mining with a single RX 570 (non bios modded) to represent a best case scenario of what a gamer who wanted to use his RX 570 to mine Ethereum would have looked like. We modified our x99 system to run the memory at the base 2133MHz and the 6800k was taken down to 2 cores and 4 threads clocked at 1.2GHz since we’re not needed CPU power and to lessen the power draw as much as possible outside of graphics cards. 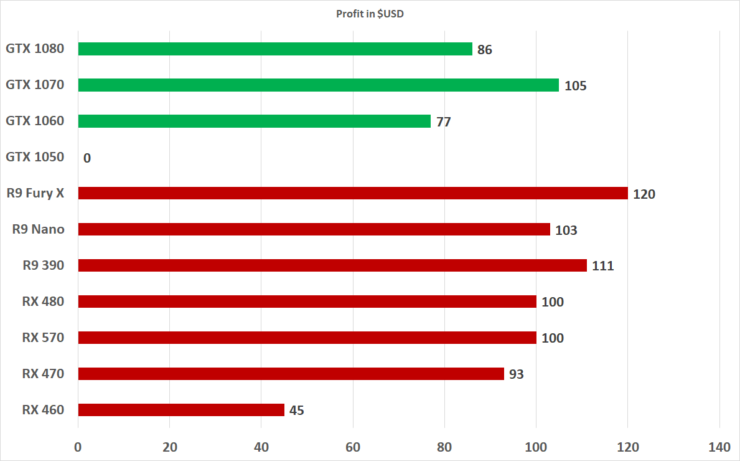 But Hashing performance isn’t everything in the world of mining, efficiency is king and lead to the next chart, profitability. There is a steady climb in the Radeon lineup but looking at the RX 470 power draw vs hashing rate it is no wonder people are jumping all over that card! The GTX 1070 is showing some promise here again with lower than RX 570 power draw but matching it on hashing. These numbers were taken from the wall after 1 hour of hashing. 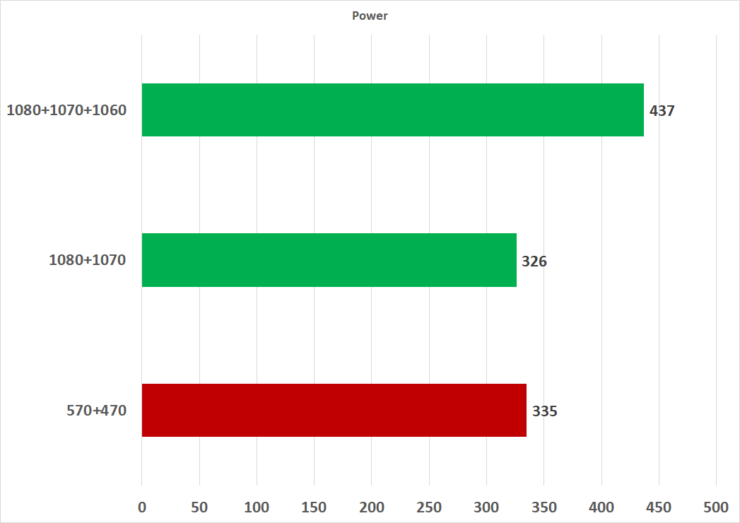 Taking a look back at the Hashing Power vs Power Consumption directly compared to each other. 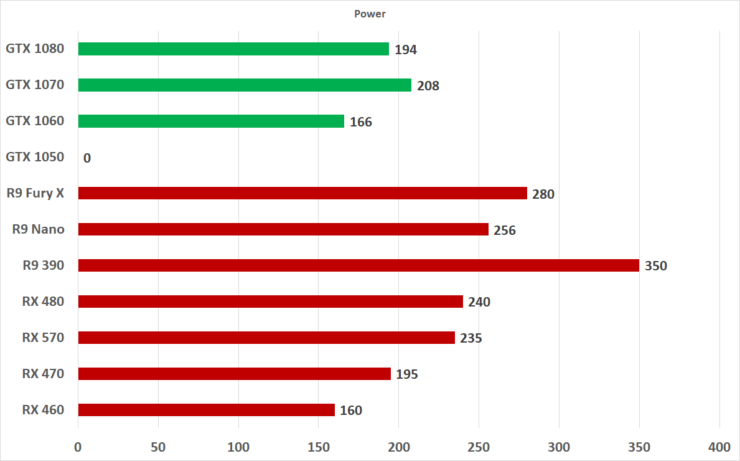 When looking at this graph make sure to pay attention to the power side as it is set to a x10 scale so that it’s easier to visualize the performance per watt aspect when mining. Take the R9 390 as example the hash rate is 28.9MH/s and the chart shows 35 for the power draw, take the x10 scale and it’s really 350. Just like a tachometer on car it’s to make for an easier to read visual. 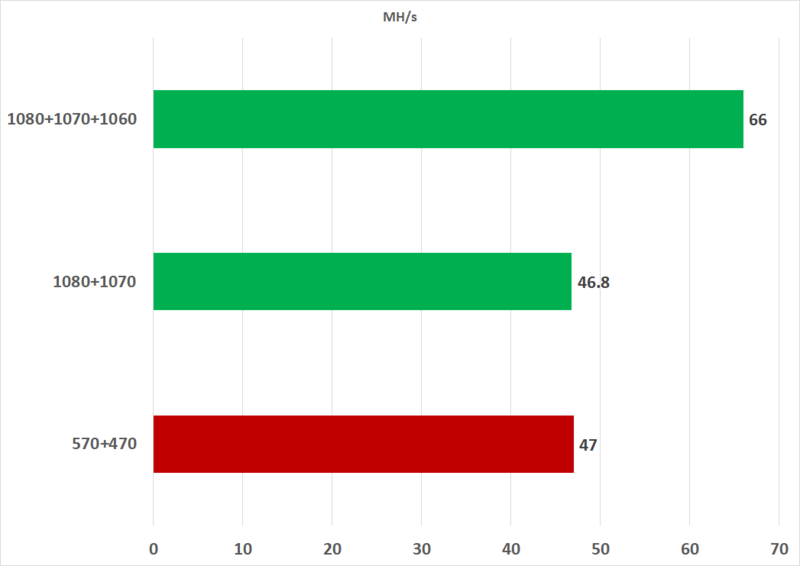 Moving away from a single GPU to a mGPU configuration makes the most sense if you are even considering mining. You already have the necessary cost of operation (motherboard/system power) so adding GPUs to the mix pulls more return than a single GPU. We could have run many different mixed GPU workloads but we picked a few and ran with it. 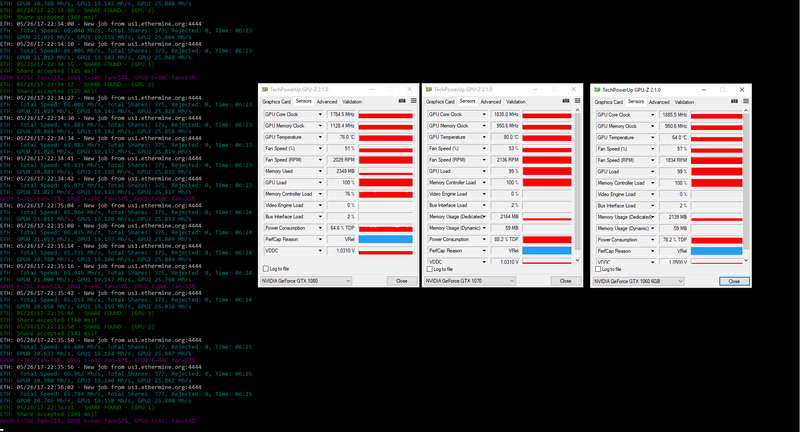 This direct comparison between these configurations shows just how powerful a Polaris 10 setup is when mining, even edging out the 1080+1070 config. Take the upfront cost of $400 (think MSRP folks) for the two Polaris cards or more than double for the Pascal. Admittedly if you were doing this you would pick up a pair of 1070s rather than touch the 1080 with a 10 foot pole.